The RSC14 color for February is pink. 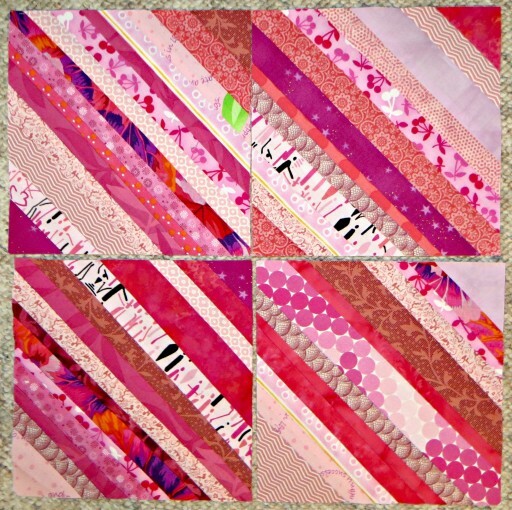 Surprisingly I didn’t have a lot of strings in the pink container so I pulled some from my 2″ and 2.5″ strips. 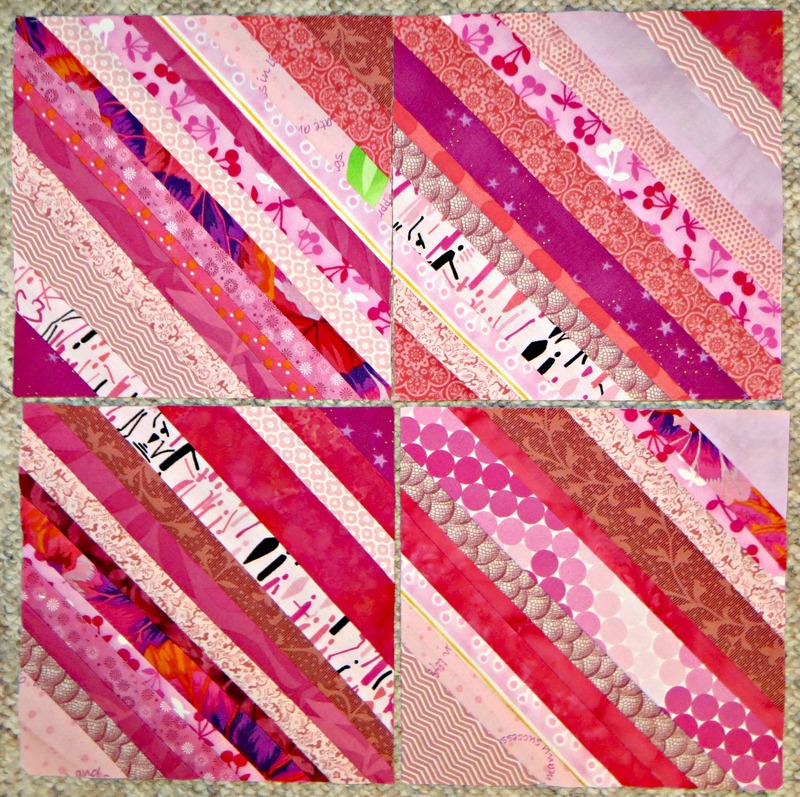 I noticed right off there is more variability in the values of my pinks than what I used in my blue string blocks. I’ll try making liberated monkey wrench blocks from these and see how they turn out. Maybe I’ll have to make some holding the values relatively similar.